Michelle began her university education in Surrey, United Kingdom, before completing her degree in Clinical Science at the DeMontfort University, Leicester. After choosing a speciality in cardiology, Michelle undertook her Association of Cardiological Science and Technology exams, and began her career as a Cardiac Physiologist. Michelle is fully competent in the range of non interventional cardiac investigations including Holter monitor analysis and exercise stress testing. She is also an independent practitioner for all pacemaker device follow up and programming. Postgraduate training included the successful completion of the necessary examinations of the British Society of Echocardiography, achieving full adult echocardiography accreditation, providing a license to practice as a reporting echocardiographer in 2006. 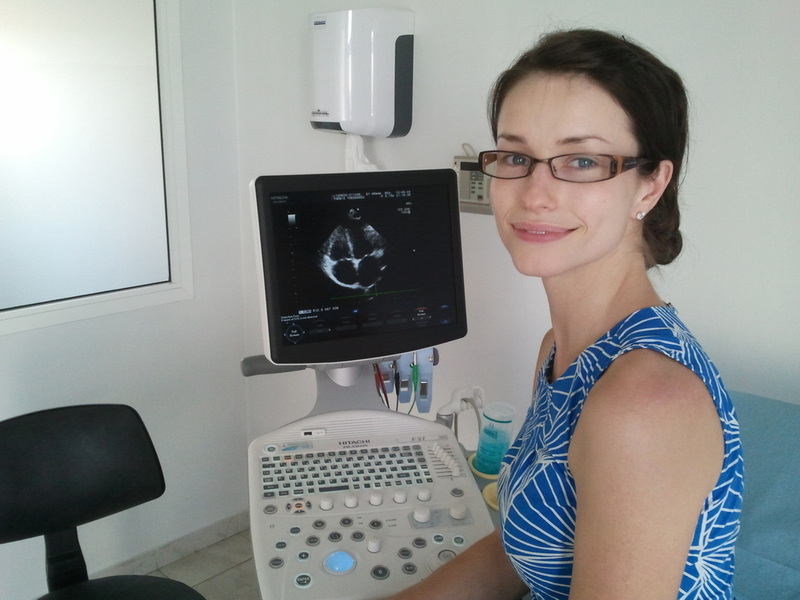 Her experience includes contrast echocardiography, dobutamine stress echocardiography, dyssynchrony and CRT assessment, and a range of echocardiography guided interventional techniques. After completing a post graduate certificate in Cardiac Diagnostics and Intervention, she held the position of Lead Interventional Cardiac Physiologist at the University Hospital of Coventry and Warwickshire prior to moving to Cyprus.